I read about the Food Revolution Day and wanted to join but couldn’t since its on a weekday, Friday too. I don’t usually cook on weekday even though in my FF post I tried to do that since last week. 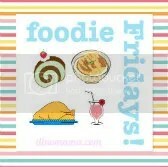 Even so, Friday seems to be a lazy day for me so no cooking after work! Would love to take part in it next time. Ah…I could take part only because I’m a bit free. Woke up early today to prepare brekky for the hubs. Too excited! Wow Lynn, this is amazing leh!!! And is this the one started by Jamie Oliver? Think he has something like that too! Nice idea to make the brioche rolls, perfect for today´s theme. That finished burger looks truly amazing! Thank you! It tastes good! Wow, your brioche looks wonderful! Perfect base for your yummy sliders!!! Your dish looks so delicious!! I want to try your burgers – I love lemongrass, and they just look and sound phenomenal! The brioche, of course, looks beautiful. When I made it before, I decided that I wasn’t sure it was worth the effort – maybe I need to try again. Wow! I must say we need tenacity in making brioche. I thought it would fail when the bread dough just didn’t want to get together even after a prolonged period of flapping in the standmixer. But lo and behold, it made it! Try making the brioche again! Her recipe is really good. And yes, I love lemongrass too! Gorgeous brioche! Such a good idea to make your own burger buns with it, too. Great post for Food Revolution Day! Oh love Dorie’s brioche wonderful choice and i’m pinning your pork burgers nice change over beef patties. Looks super good! This post is making me hungry. Hahahha….you have had your fill in Spain! Have fun! How clever to make brioche burger buns! And the burgers look awesome! Delicious! Great job for Food Revolution Day. I LOVE that you made the brioche from scratch 🙂 Thanks for “getting it” and participating in FRD2013! These look amazing- I can not believe the entire thing is homemade (but you have the photos to prove it 🙂 I can not wait to make these myself and you have inspired me to try more homemade bread as well. And loved the photo of baby Faith checking out the adventure- precious !! Thank goodness I have the photos! Hah! You are a very dedicated revolutionary when you even make your own brioche! Tasty recipe! Can’t wait to make it for my peeps. oh thank you! do let me know how it goes! Your sliders sound wonderful & homemade brioche is always a treat. I have to say that I hate making brioche at home, its just so fussy of all the breads I have baked but I always enjoy brioche! Your sliders look fantastic!